My humble experience with using a Chinese public bathroom from a UX perspective. 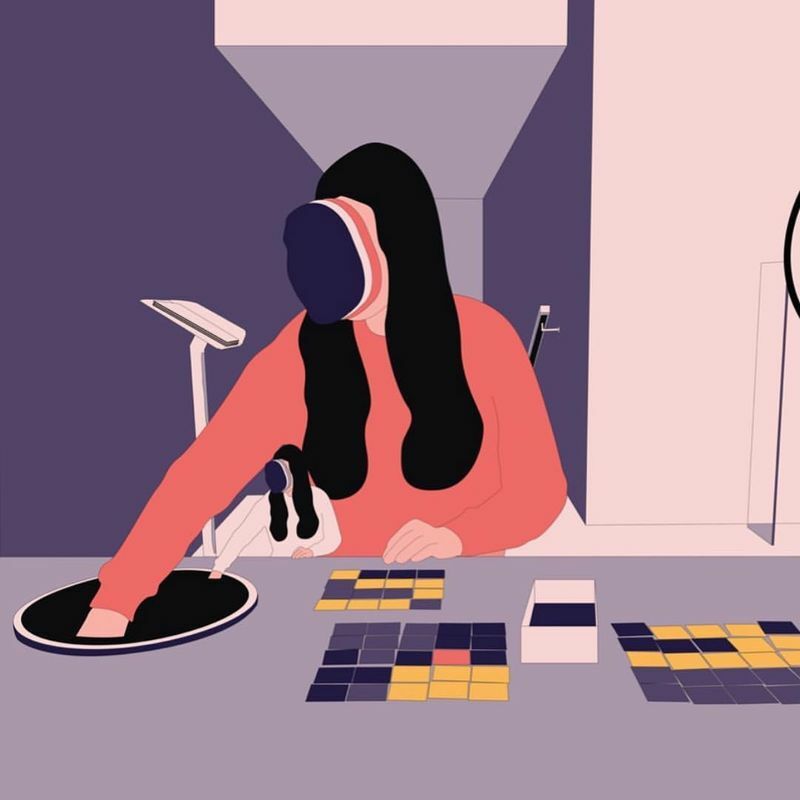 There are so many fascinating things about how technology is incorporated into Chinese society like the influence of WeChat, e-bikes, and its cashless economy. Unfortunately, this article isn’t going to be about any of those things; it’s going to be about toilet paper. Why? Because earlier this year my face was scanned by an automated toilet paper dispenser and I can’t get over it. This isn’t an episode of Black Mirror, it’s real life. China has a problem with toilet paper; it gets stolen all the time. It’s so bad that most public bathrooms don’t bother providing it anymore. That’s why, in Chinese culture — the part that no one ever talks about because it’s too real — you’re expected to carry your own in the form of travel tissue packs (readily available in every supermarket and convenience store). However, China’s tourism industry is rising and since the bathroom part of Chinese culture isn’t the proudest or the most sanitary, toilet paper is starting to make a comeback to meet tourist expectations. Currently select parks, attractions, and other high traffic areas have been graced with automated (via facial recognition) toilet paper dispensers and it’s quite a sight to be seen. So if you’re interested in Chinese culture, inclusive design, or curious about why toilet paper’s such a big deal, please keep on reading. In order to fully understand why China’s investing in high tech for a low tech product, there are two things to keep in mind. 1: Public toilet paper gets stolen worldwide, but since China makes up about 20% of the world’s population, there’s a lot of paper at stake. 2: The reason why it gets stolen is a reflection of China’s socio-economic history over the past century; we’re talking about extreme poverty and lack of education. That changed dramatically in the late 1970s when the government placed economic reforms that have almost entirely erased urban poverty. Right now, toilet paper thieves are generally from older generations who grew up in poverty and people who are currently facing poverty, particularly migrant workers from rural areas. I was really excited when I found out about these dispensers. It was early January and I was with my Aunt in Zuohai Park, Fuzhou when she casually mentioned that there were new machines for toilet paper. I had to try them. In this particular park, there were two dispensers at the entrance of the bathroom and I happily stood in front of one. I made sure my face was in the camera’s frame, stared at it for three seconds, and like magic, a two foot portion of toilet paper came out. Perfect. Right behind me in line was an older gentlemen. He also stared at the camera for three seconds but this time the camera couldn’t register his face. He tried to bend down, arch his back, move in closer, then farther away but nothing worked. At one point, a friendly stranger that came out from the bathroom tried to help him by using his own face, but the dispenser politely declined him in Mandarin Chinese because he apparently already received his portion and couldn’t get more! At this point, a realization came over me and at once I felt uncomfortable and slightly amused. I mean, isn’t it both hilarious and scary when a machine recognizes your face and denies you toilet paper? I moved in closer to investigate the older gentleman’s interaction with the dispenser. I noticed that towards the end of his attempt, there was a huge shadow across his face from the overcast since we were in an indoor/outdoor location, making him undetectable to the camera. He eventually gave up. Free. The design successfully allows public bathrooms to provide free toilet paper without having to worry about theft. This is already a win considering many places don’t provide toilet paper. Environmentally friendly. It saves paper since it’s portioned and won’t allow an individual to take more than one portion within a nine minute interval. It’s hygienic. Utilizing facial recognition means that people don’t have to touch the dispenser in order to activate it. Uncontrolled variables. Not all public bathrooms are designed for facial recognition technology to work. If the only free wall space for dispensers is near the entrance of an outdoor bathroom and the camera can’t pick up someone’s face because of uncontrollable variables like the weather and amount of daylight, that’s a problem. Is it even enough? Some people need more than two feet of toilet paper. I’ll leave it at that. Height. If someone’s a lot taller than the dispenser, on crutches, or has a leg injury, that person is going to struggle with getting the face into frame. On the opposite end, if someone’s shorter, in a wheelchair, etc. and can’t even reach the camera, there’s no way that person can get toilet paper without human assistance. Language. For a machine that’s meant to be used in high traffic tourist areas, it would be beneficial if there was at least an English translation and braille under every Chinese instruction and signage near and on the dispenser, including the actual interface. The dispenser also only speaks in Mandarin Chinese. Privacy. This is more than just a toilet paper dispenser. As much as it’s reducing theft and waste, it’s also monitoring the public and capturing faces for China’s giant facial recognition database. So what happens if the dispenser isn’t working or if you refuse to have your face scanned but still need toilet paper? 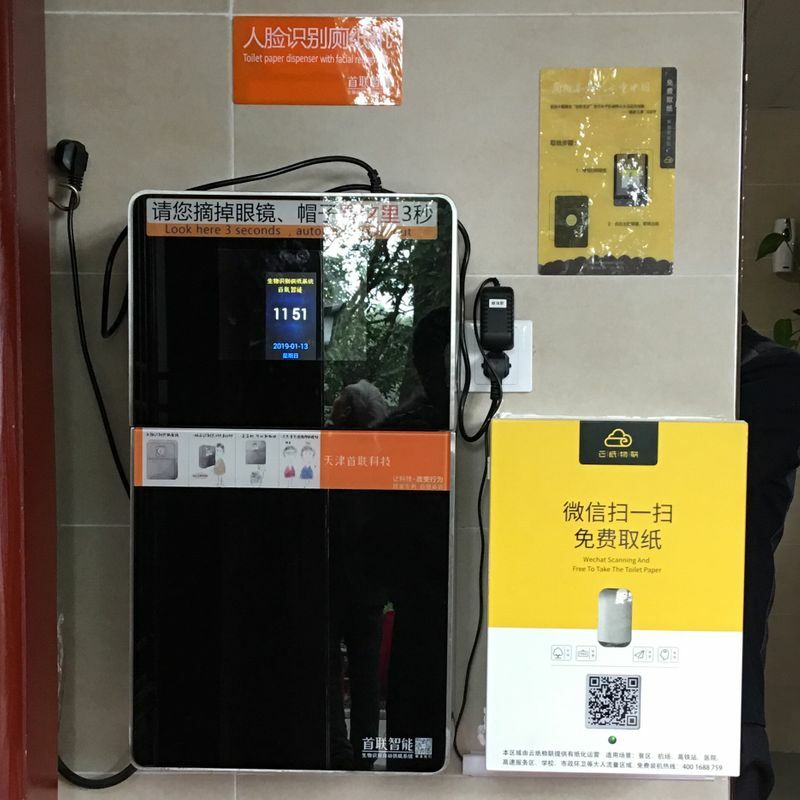 The good news is that conveniently right next to the main automated toilet paper dispenser is a mini toilet paper dispenser, and all you have to do for this one is scan your WeChat QR code. Thank Jenny for a detailed writing and sharing experience about something we all do and have in common, yet some mechanism of civility gets lost, gets rehashed. Write more! Thank you for your kind words :) Working on writing more in the future! Isn't this kind of terrifying? The Chinese govt is known internationally for their dramatic overreach. It's incredible that they now want and obtain knowledge on who, when, and where someone uses the restroom. The article is very interesting, but how can one really claim that urban poverty has been largely eliminated when so many people apparently find it necessary to steal toilet paper from public spaces? Man, China never seems to stop amazing me! It's kinda funny that if ur face wasn't recognized then you won't be able to use the restroom. Which means a lot of troubles for the person. Back in India, this issue does not exist as most toilets still use water dispensers instead of paper rolls. Wow, I had no idea that was the future we are headed towards. I'm glad you liked it :) I think our future is going to take cues from sci-fi, but more scary. I've never known there's such devices in China, will have a look next time if I travel to Fuzhou. 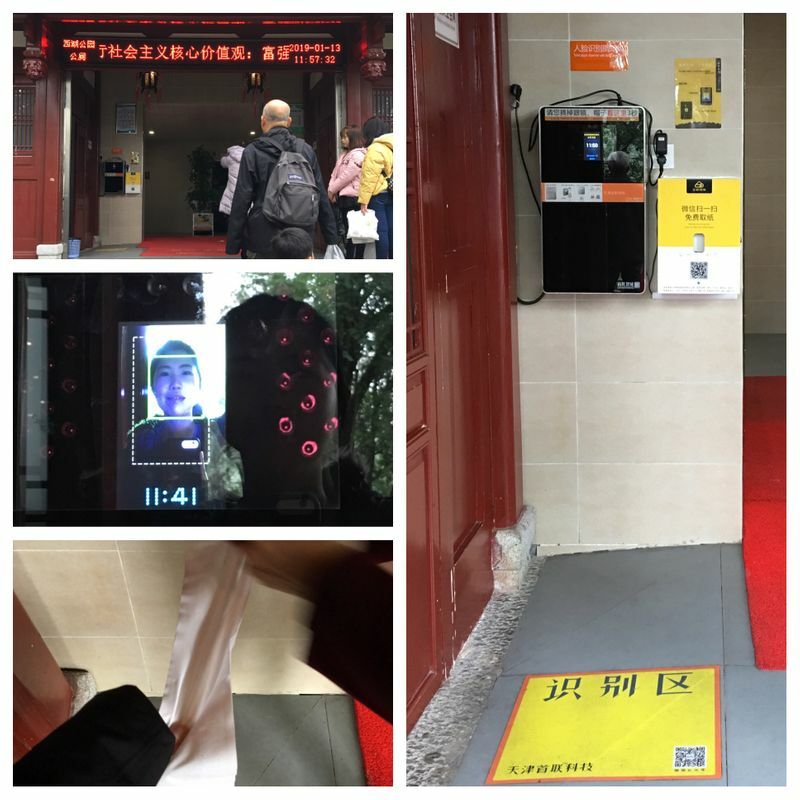 However, the wechat scanning dispenser was quite popular in Hangzhou about 5 or 6 years ago, it asked people to scan and follow a WeChat public account(which is like a Facebook Page) and would get a pack of tissue for free. The tissue in that pack are printed with ads. 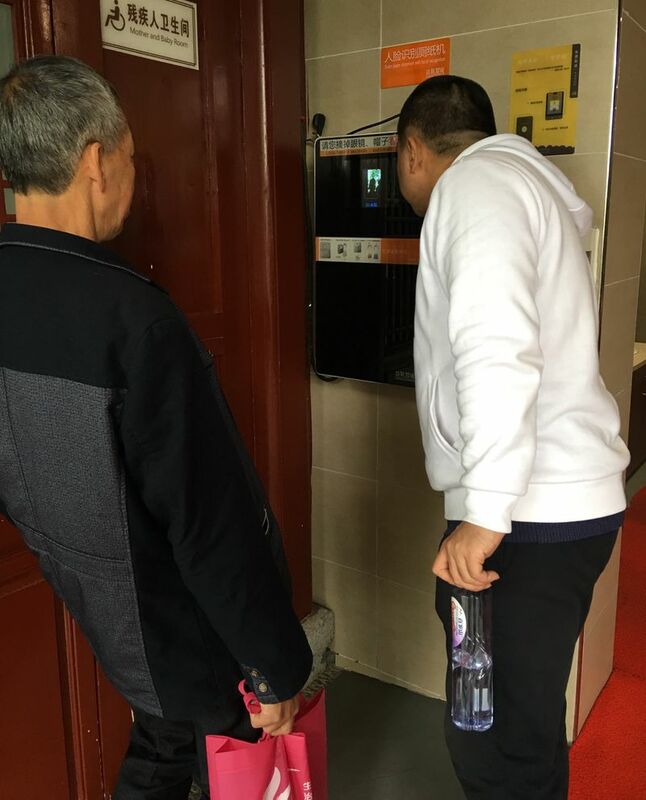 But nowadays more and more toilets have enough tissue supply, so that WeChat scanning dispenser is not that popular. Anyway, economy varies in different districts in China, these are just experiences from the south east coast regions with a higher economy status. Oh cool. Do you mean that the actual tissue paper had ads printed on it?! This is my first article on Honest! Thanks for reading!